UHF RFID module is a high-performance reader/writer designed for high challenging RFID application environment. It employs the newest R2000 RF chip providing the customers unprecedented performance of reading and writing experience. 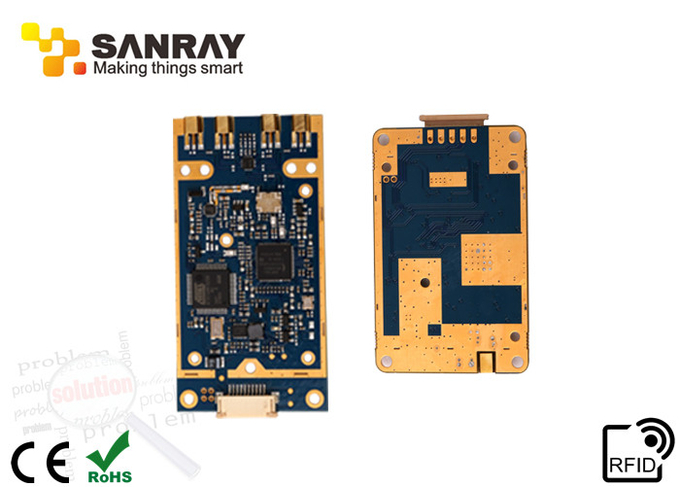 The maximum power output of this module is 30dBm, with 8dbi antenna, which can realize a efficient reading/writing distance of 10m or above, and over 400tags/s for tags identification. Meanwhile, the compact design makes this module smaller, coupled with the low working voltage of 3.7V; the module is particularly suitable for application in a device such as a handset. This product is suitable for RFID intensive and more challenging environment and required a higher reading/writing performance, such as warehousing, logistics, production line management, etc. 1. 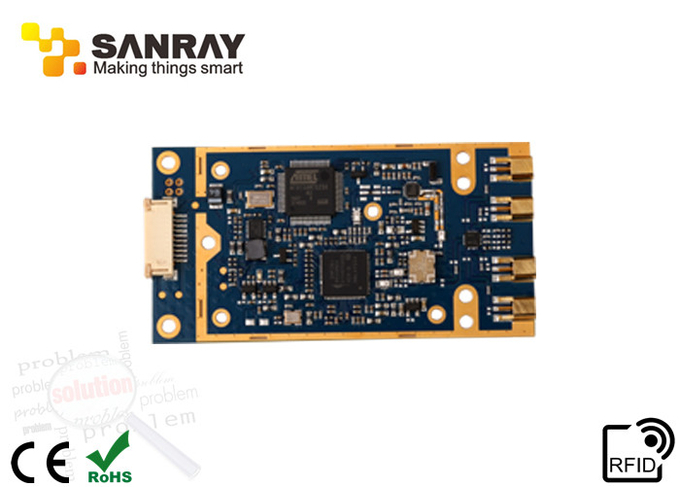 Employed IMPINJ R2000 RF Chips, up to 110dbm receiving sensitivity and the highest performance in this field makes this module more suitable for harsh application environment. 4. Remarkable performance in intensive taps reading can attain a taps identification rate of 400tags/s. 7. The use of carrier wave cancellation technology makes the tag reading more accurate and the reading scope wider. 8. The smallest module volume in the same field and supply power of 3.7V, it is especially suitable for handsets and other mobile devices. 9. Enhance noise suppression for reliable data capture. 10. High precision return signal strength (RSSI).